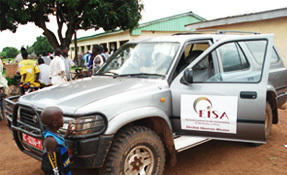 EISA embarked on a research and advocacy project aimed at contributing to the improvement of assessment of electoral integrity; and in the long run to contribute to the mitigation of electoral flaws that undermine democratic consolidation and good governance in Africa. The project commenced with a one year inception phase focused largely on research to assess the current framework for defining and assessing electoral integrity in Africa. 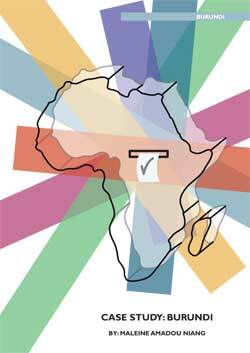 One of the key deliverables of the inception phase is a publication of selected case studies on recent elections on the continent, which identifies common trends and limitations in the assessment of electoral integrity. The research will also show how the identified limitations were addressed. The findings and recommendations of the field research will be synthesised into a policy brief on addressing electoral integrity in Africa. The policy brief will serve as the basis for advocacy to relevant stakeholders on these issues. Because the African Union (AU) and the regional economic communities (RECs) play a leading role in promoting democracy on the continent the Electoral Institute for Sustainable Democracy in Africa (EISA) felt it was important to review the role, work and impact of these intergovernmental organisations on the observation of and reporting on elections. This policy brief reviews current trends in election practices in Africa and the challenges that affect their integrity. It also proposes ways in which these intergovernmental organisations can better assess and promote the integrity of elections in their member states by enhancing their framework, methodology and relations with different stakeholders. A validation workshop was convened on 23 September 2015 and preliminary findings of the research and the proposals were presented to representatives of African intergovernmental bodies such as ECCAS, ECOWAS and SADC. The workshop was also attended by representatives from various institutions such as The Carter Center, SAIIA, Hans Seidel Foundation, the Electoral Integrity Project, the OSF, and the EODS. The purpose of the workshop was to receive feedback from different pan-African election assessment groups on the proposals for improving the assessment of electoral integrity in Africa. 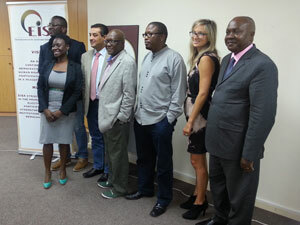 As part of EISA's research and advocacy project on addressing electoral integrity in Africa, an Information Exchange Workshop between the working group and in-country researchers was held at EISA's Head Office from 4 to 6 August 2015. This workshop enabled researchers to have a broadened perspective of the continental project and also provided an opportunity for the working group to give feedback on primary findings of their regions. This meeting was the second in the series of meetings that was held during this project. 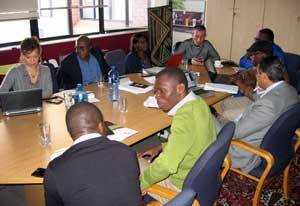 EISA organised the first meeting of the working group at its head office in Johannesburg on 29-30 April 2015. The main objective of the meeting was to establish consensus amongst the working group experts on how the project would be carried out, as well as the timeline for different stages of the project. 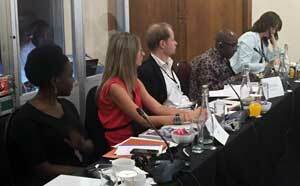 Right: Members of the working group at the first meeting in April 2015 in Johannesburg.